I love exploring, learning from different artists, tutorials and even video courses. 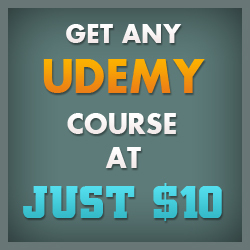 With the evolution of Udemy, online teaching has changed our lives. It has best courses to learn from hundred of courses in various categories. I picked up two courses at a low price of $19 each. One of the course was Adobe Illustrator For Mobile Game Art: A Beginners Guide. I was too excited about it. The course is instructed by Rafael John Regidor who is a game artist from Philippines. I always look for an artist work before spending money on any course and his artwork is awesome. This course contains around 23 videos (around 3 hour) and other lectures in a text file. 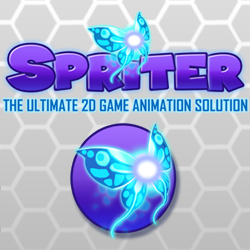 It is laid out in seven sections containing juicy training to learn the real workflow of game assets creation. The first section introduces the instructor to the viewers and gives you a time-lapse video of the whole course. The real fun starts from the second section. In this section, you will learn the most important tool of any graphic design software – Pen tool. Rafael walks you through the important aspects of Adobe Illustrator like blending modes, managing layers, fill and stroke properties that is useful not only in game art but in any other graphic design process. The third section put some lights on the best practices and workflow. You will learn to create custom workspaces, keyboard shortcuts and grouping artwork. It also contains tutorials on shape builder tool, art brush tool, smooth tool and masking. In the last video, instructor teaches us to export the artworks for the games. After sharing lots of tips and tricks, Rafael finally shows you how to create an axe from scratch in the fourth section. You will learn to use the real world references to create cool game props. How you can create shapes without using a tablet. He shows the real workflow from creating the base to detailing the artwork. The fifth section is my favorite one. It focuses on material study like rocks, metals and wood. I think every game art course should have a section on material study and color theory. But this course lacks lessons on color theory. How you can choose the correct color palettes and use them in your artwork correctly. Anyway Rafael did a good job in explaining them. Section 6 and 7 contains a final exam and a challenge. No videos. Here comes the million dollar question. Is this course is worth spending money on? I have mixed feelings about it not because I didn’t like it. I really liked it and learnt many new things through out this course. But if you are totally a beginner who does not even know the basics of Illustrator then this course is not for you. It shows the real workflow of game assets creation process but lacks in-depth tutorials that could help a complete beginner. If you are a total newbie and haven’t touched any software. I would suggest you to learn few basics of Illustrator first. 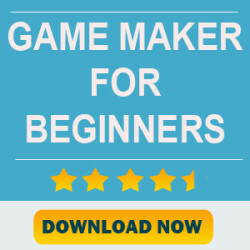 If you want to see how game art is created, want to learn some cool tips and tricks to save your time and increase the efficiency then this is the best course for you. The course is professionally done and worth checking out. 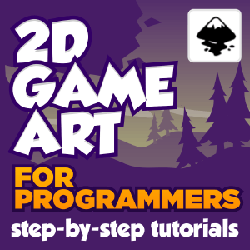 Really teaches you some cool tricks to create game assets very fast. Material study lessons which I haven’t seen in any other course. Great support by the instructor. Covers the main tools required to create graphics in Illustrator. Not actually for complete beginners. Only one real step by step tutorial on creating a game prop (axe). In my view, overall the course in worth watching if you are also starting in this field. You will gain some insights of the real design process. I would advise Rafael to add some more step by step lessons on other game elements like tiles, backgrounds, user interface and characters. A lesson on color theory will be awesome. Next time use PDF files instead of using the notepad for text lessons. Best of luck and keep doing great work. Click here and enter coupon code YTVidPop19 for 85% discount. You can buy it in just $19. You can check out the free lessons below. 1. How to make wooden texture? 2. Creating art brush in Adobe Illustrator. 3. Shape builder Tool tutorial. Best of luck guys and keep learning.